When you visit afloat.online your web browser exchanges information with our servers and consequently you leave some electronic footprints – also called cookies. Here you can read about how to accept or reject cookies. If you do not wish to allow cookies, all you have to do is to click “no thanks to cookies” in the information box. However we use a cookie to remember your choice so that no further cookies are used when you visit afloat.online from the same computer. If you wish to withdraw your consent or cancel your “no thanks to cookies”, you will need to delete the cookies stored on your device via your browser’s internet settings. The information box will appear again on your next visit to the site and you will be able to choose whether to accept cookies or not. What will happen if I reject cookies? You can still use afloat.online even if you have opted out of cookies but the website will not remember certain information you have entered on previous visits, for instance your contact details or the name of your adviser. A cookie is a small file that is stored in your web browser and recognised by a website on return visits. This file makes it possible to send tailored information to your browser. A cookie may contain text, numbers or for instance a date but no personal information is stored in a cookie. A cookie is not a program and a cookie cannot carry or transmit a virus or other malware. Nearly all websites contain cookies. Do you only wish to reject statistics cookies? AFLOAT uses Google Analytics to compile statistical data on the use of our website. If you wish to reject cookies set by the web analytics program but would like to keep the other cookies, you can opt out of cookies from Google Analytics by following the link below. Please note however that by doing so you are opting out of cookies from Google Analytics across all websites using this statistics tool and not just afloat.online. 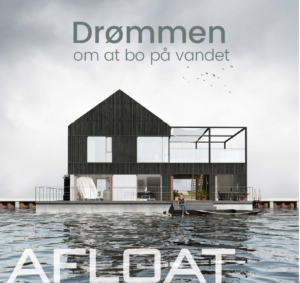 Who is responsible for afloat.online? AFLOAT A/S is the controller of the information collected. Please direct any questions regarding cookies to this address.